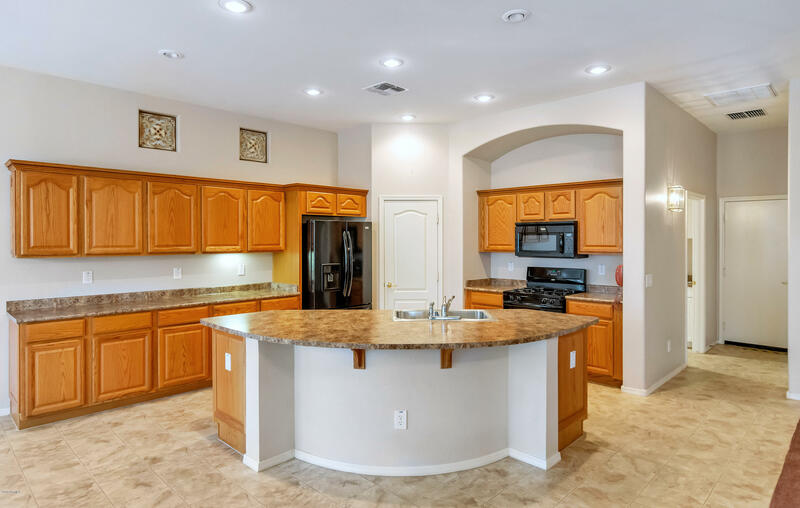 All ARIZONA TRADITIONS homes currently listed for sale in Surprise as of 04/23/2019 are shown below. You can change the search criteria at any time by pressing the 'Change Search' button below. 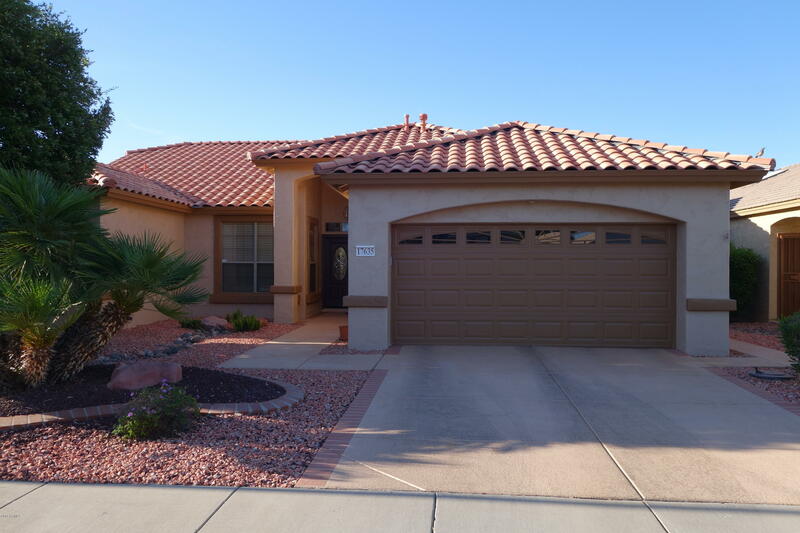 "LOWEST PRICE PER FOOT IN AZ TRADITIONS WITH A 3 CAR GARAGE! COME GET IT! 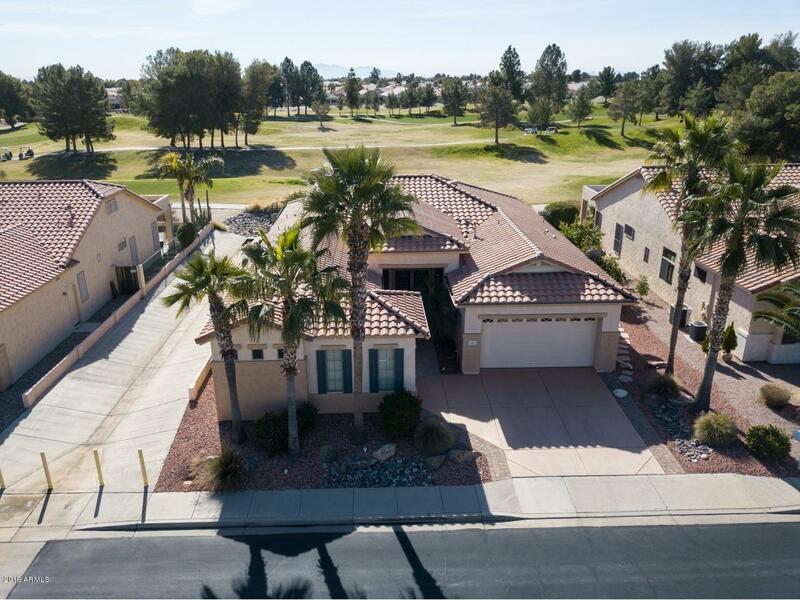 Step inside this gated 55+ Community near the 18 Hole Golf Course and community center with multiple amenities offered. 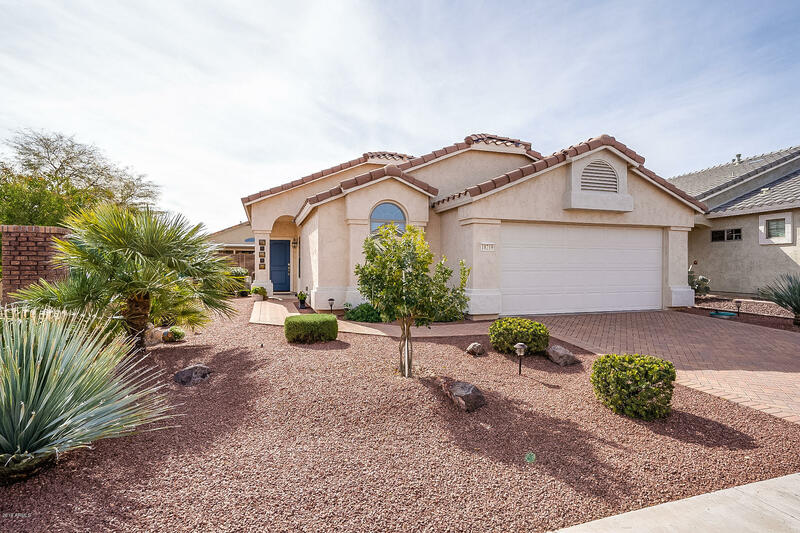 Grand entrance with double doors lead you through into your open floor plan of this Papago model. This 2 bedroom plus large office, 2.5 bath home has 2,199 Sq Ft with a spacious 3-Car Garage or workshop. An abundance of storage and large closets are found throughout the home. Open Kitchen with breakfast ba"
"DO NOT USE SHOWTIME----THIS IS A VERY NICE INGLESIDE WITH THE FOLLOWING, APPLIANCES ARE ALL NEW APRIL 2019 IN THE KITCHEN, NEW EXTERIOR PAINT MARCH 2019, FULL TILE LESS BEDROOMS AND DEN. EXPANDED UTILIY ROOM, SOUTH BACKYARD, DRIP SYSTEM, AC AND WATER HEATER REPLACED MARCH 2015. LARGE MASTER WITH DOOR TO PATIO,LARGE 2ND BR, NICE SIZED DEN, FAMILY ROOM OF KITCHEN, ISLAND KITCHEN, MAPLE CABINETS, FORMAL DINING AND FRONT ROOM, YARD XEROXSCAPED WITH PVC AUTO WATER DRIP, FULLY FENCED,GATED ONE SIDE. " 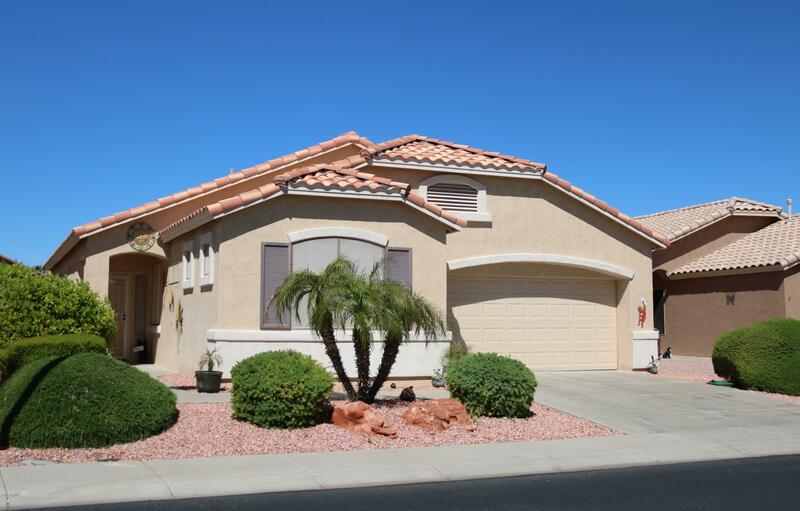 "Desirable Coronado model in the gated community of Arizona Traditions.Spacious kitchen,dining room and great room with vaulted ceilings. Large master bedroom with walk in closet and dual sinks in master bathroom. Split floor plan with second bedroom and den away from master for extra privacy. Granite counter tops, pull out kitchen drawers through out, kitchen island and raised panel doors are just some of the features of this nicely laid out home. 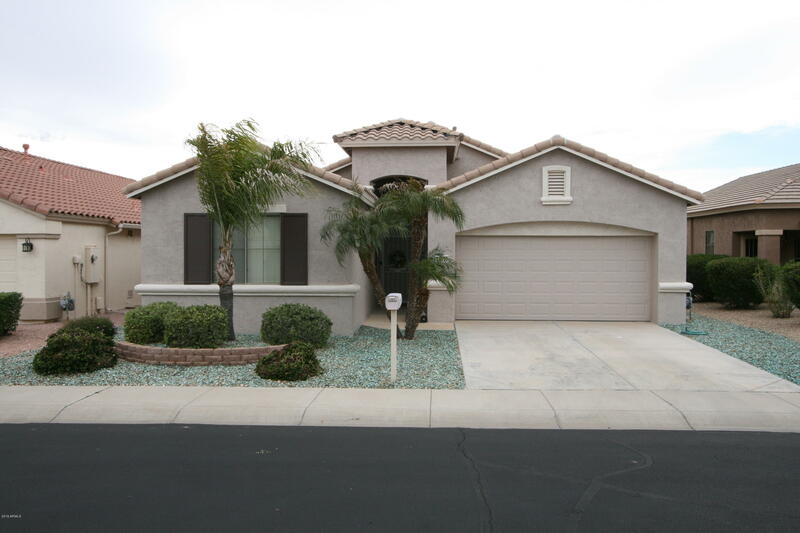 Easy maintenance back yard with block wall and a"
"Arizona Traditions - 55 plus Community - Beautifully appointed 2 Bed 2 bath + Den, Ocotillo floorplan on a PREMIUM LOT,. When you walk into this home, you are greeted with an open and pleasantly bright great room with soaring vaulted ceilings. Neutral tile floors with lush carpet in bedrooms and den. Custom shutters adorn many of the windows. in the home. Granite counters with stainless steel appliances in kitchen. Master bedroom is bright and cheery with vaulted ceilings. Master bathroom has se"
"Overlooking the 7th green and 8th fairway in the guard gated community of Arizona Traditions! Vaulted ceilings, eat-in kitchen, and formal dining room with bay window. Living room features a cozy gas fireplace with great views of the golf course. Master bedroom offers a spacious walk-in closet, double sinks and also views of the golf course. Ceiling fans through out. Instant hot water in kitchen. Patio, walkway and driveway with dream decking. 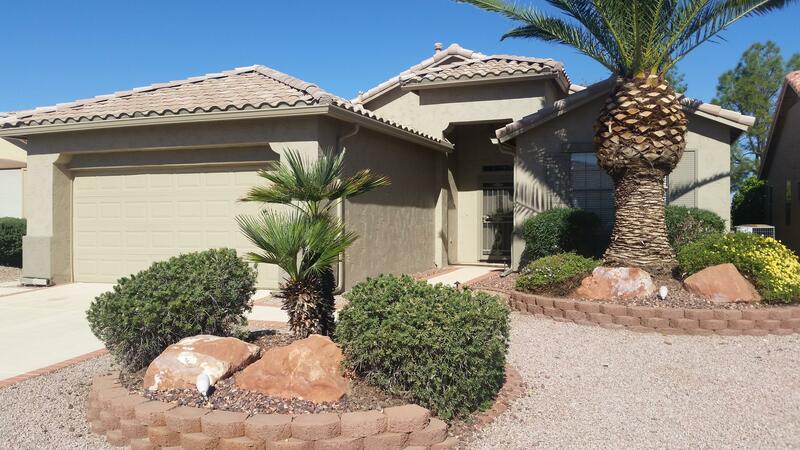 Full length covered patio, easy maintenance desert l"
"Highly desired Saguaro model in 55+gated golf community. This 1519sq ft home offers open great room/kitchen w/many windows. Master Bath offers double sinks, large glassed shower, private water closet, and walk-in closet. Spacious den/office quietly separates bedrooms. Back covered patio. Inside laundry. The exterior of this home is attractively painted and landscaped with great curb appeal. The home is being sold ''AS IS''. The vehicle in garage does NOT convey. This home is a must see! Sellers"